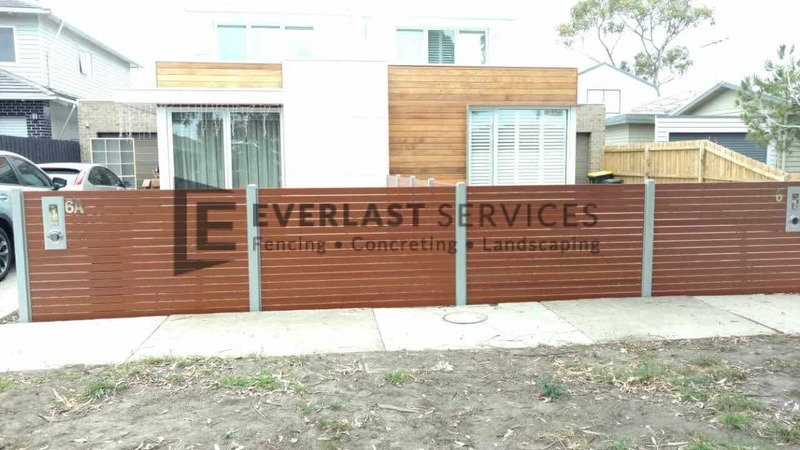 The team at Everlast Services always rubs their hands together when they receive a project that will require a bit of steel fabrication. There’s no team of fabricators like the team we’ve assembled at our factory in Hopper’s Crossing. We love watching them ply their craft and churning out metre after metre of unbelievable workmanship. 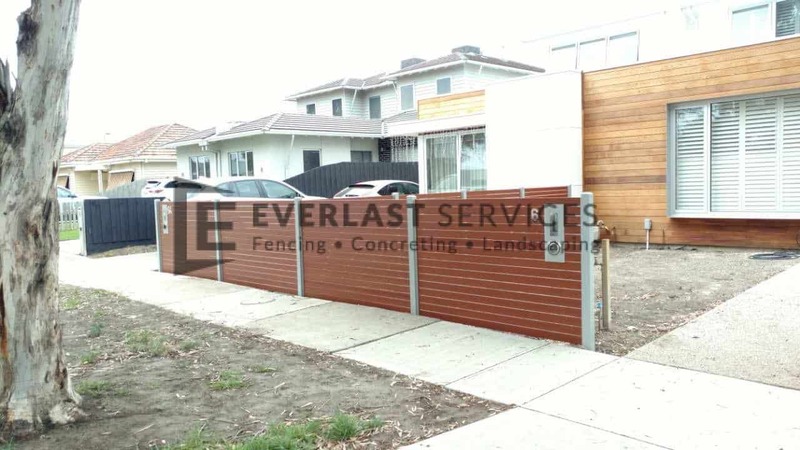 This project in Altona required us to come up with a fence system to divide two townhouses. 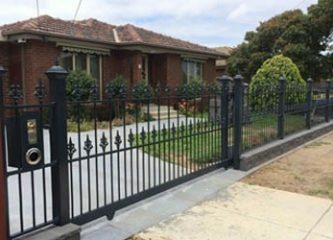 The owners wanted something stylish, easy-to-maintain and above all, affordable. 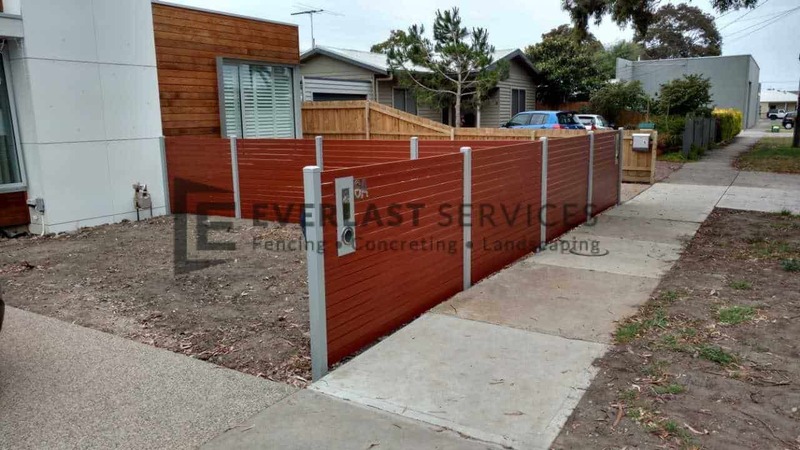 Everlast is well-versed in delivering on these three fronts and we quickly came up with a solution. 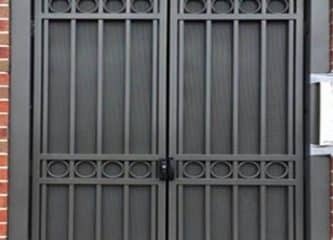 Aluminum slat fencing is the way to go when you want style, affordability and something that’s easy to maintain. The best part is, we make the panels in our factory so we can stand by their quality and trust in the fact that they will stand the test of time. After looking at the palette of the exterior of the townhouses, we decided that a pearl white frame with western red cedar slats would be perfect. We passed on the suggestion to the client and they agreed straight away. We passed on all the measurements and the fabrication team provided us with everything we needed to carry out the job in no time. If making the frame and the panels wasn’t enough, the owner asked if we knew where to find some mailboxes. 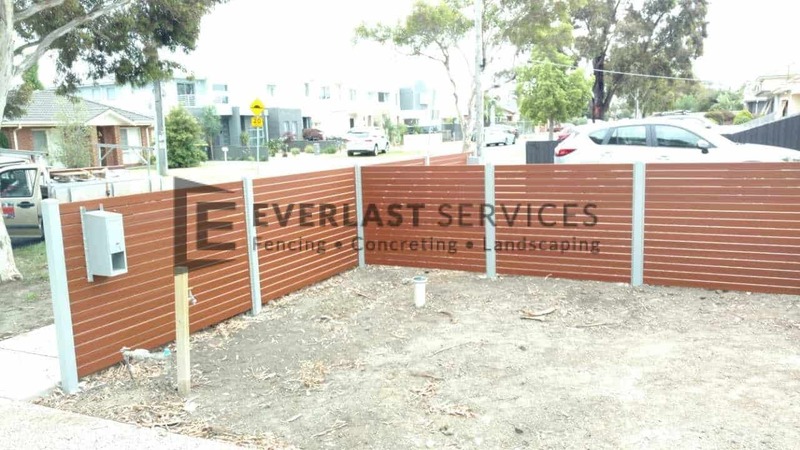 As a little surprise we asked the team to knock us up a couple of mailboxes, meaning that every last bit of the project was fabricated in-house and installed by our talented installation team. Because we were able to keep everything in house we were able to pass on huge savings to the owner. He couldn’t believe the quote we gave him. That’s the difference that Everlast offers, great value for money for the highest quality products. The slats really pick up the wood on the façade of the townhouses and tie the whole house together. The pearl white framing and posts make the vibrancy of the cedar stand out and the lines look so sharp and crisp. Another perfect job by the team and another happy customer. We have added value to the home and delivered everything that we promised to deliver. 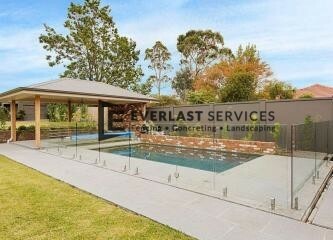 The project was completed on time and for the price we quoted, no hidden surprises. The owner is absolutely thrilled and loved the respect and dedication the entire team displayed throughout the project.